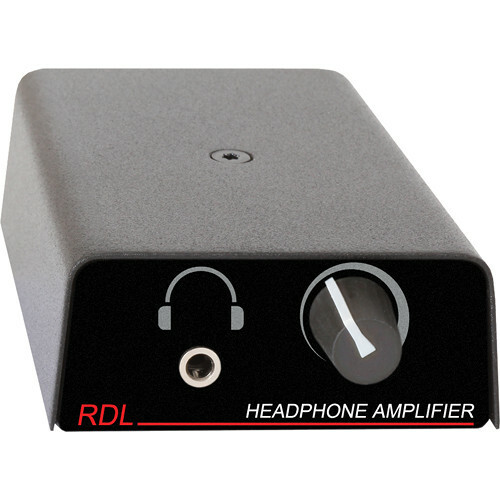 The RDL TP-HA1A Format-A Stereo Headphone Amplifier is designed to allow someone to listen to music via headphones over an RDL Format-A sender system. The amplifier features two RJ45 ports, either of which can receive both the power and the audio signal to the amplifier. The second RJ45 port can be used to connect additional headphone amplifiers or another Format-A receiver into the system. The headphone amplifier is designed for distributed audio applications, such as providing hotel guests with a bedside amplifier for listening to music. A single user-controllable volume knob allows you to adjust the volume of the signal sent to the 1/8" headphone jack. Box Dimensions (LxWxH) 4.625 x 3.625 x 2.125"